Luke Raley does not have any MLB stats for the season. Draft: 2016, Los Angeles Dodgers, 7th rd. Lucas Raley (pronounced ray-lee)...Instagram: @lraley20...2013 graduate of Highland High School in Medina, OH...played 42 games, hitting .508 (63-for-124) with 12 doubles, seven triples, eight home runs and 54 RBI...attended Lake Erie College from 2014-16. Began season with Double-A Tulsa (Los Angeles-NL) ... Recorded a five-game multi-hit game streak April 19-26, including his first professional two-homer game April 26 at Arkansas ... Named Texas League Midseason All-Star ... Acquired by Minnesota via trade along with second baseman Logan Forsythe and left-handed pitcher Devin Smeltzer on July 31, in exchange for second baseman Brian Dozier ... Combined to hit .275 (133-for-484) with 19 doubles, eight triples, 20 home runs, 69 RBI, 80 runs scored and a .350 on-base percentage in 120 games between Tulsa and Double-A Chattanooga (Los Angeles-NL)...hit .333 (40-for-120) against left-handed pitching and .255 (93-for-364) against right-handed pitching...played 51 games at first base, 35 games in rightfield and 26 games in leftfield ... Played four games for Salt River in the Arizona Fall League, going 3-for-14 (.214) with three walks and three RBI. Spent entire season with Single-A Rancho Cucamonga (Los Angeles-NL)...set season-high with four hits three times: April 18 at Lancaster, August 15 vs. Stockton and August 25 vs. Inland Empire...named California League All-Star...placed on 7-day disabled list July 28 with a left great toe infection; reinstated August 6...hit .340 (32-for-94) with 18 RBI in 23 July games and .340 (32-for-94) with 14 RBI in 23 August games...hit .306 (109-for-356) vs. right-handed pitching and .262 (32-for-122) vs. left-handed pitching...played 59 games for the Quakes in leftfield, 30 in rightfield and 13 at first base...ranked as Dodgers 26th best prospect by Baseball America entering 2018. Began professional career with AZL Dodgers, playing in five games, going 10-for-16 (.625)...promoted to Rookie-Level Ogden on June 27 and appeared in five games, going 10-for-24 (.417)...promoted for final time to Single-A Great Lakes...suffered a left ankle contusion September 2 at Fort Wayne and was placed on the 7-day disabled list the next day, ending his season...combined to go .288 (69-for-240) with 14 doubles, six triples, four home runs, 24 RBI, 18 walks, 34 runs scored and a .355 on-base percentage in 65 games at all three stops. 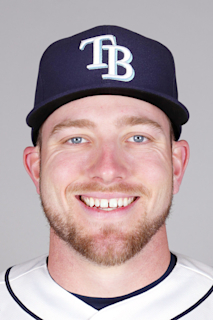 March 25, 2019 RF Luke Raley assigned to Rochester Red Wings from Pensacola Blue Wahoos. February 9, 2019 Minnesota Twins invited non-roster LF Luke Raley to spring training. August 2, 2018 Luke Raley roster status changed by Chattanooga Lookouts. July 31, 2018 Minnesota Twins traded 2B Brian Dozier to Los Angeles Dodgers for 2B Logan Forsythe, OF Luke Raley and LHP Devin Smeltzer. July 31, 2018 LF Luke Raley assigned to Chattanooga Lookouts. April 2, 2018 OF Luke Raley assigned to Tulsa Drillers from Rancho Cucamonga Quakes. February 28, 2018 LF Luke Raley assigned to Los Angeles Dodgers. August 6, 2017 Rancho Cucamonga Quakes activated LF Luke Raley from the 7-day disabled list. July 30, 2017 Rancho Cucamonga Quakes placed LF Luke Raley on the 7-day disabled list. April 5, 2017 LF Luke Raley assigned to Rancho Cucamonga Quakes from Great Lakes Loons. September 19, 2016 Great Lakes Loons activated LF Luke Raley from the 7-day disabled list. September 12, 2016 Great Lakes Loons placed LF Luke Raley on the 7-day disabled list. September 10, 2016 Great Lakes Loons activated LF Luke Raley from the 7-day disabled list. September 3, 2016 Great Lakes Loons placed LF Luke Raley on the 7-day disabled list. July 2, 2016 LF Luke Raley assigned to Great Lakes Loons from Ogden Raptors. June 27, 2016 OF Luke Raley assigned to Ogden Raptors from AZL Dodgers. June 20, 2016 OF Luke Raley assigned to AZL Dodgers. June 17, 2016 Los Angeles Dodgers signed OF Luke Raley.